The generation, delivery, and utilization of electric power and energy remain among the most challenging and exciting fields of electrical engineering. The astounding technological developments of our age are highly dependent upon a safe, reliable, and economic supply of electric power. The objective of The Electric Power Engineering Handbook is to provide a contemporary overview of this far-reaching field as well as a useful guide and educational resource for its study. 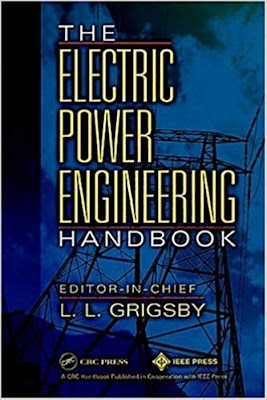 It is intended to define electric power engineering by bringing together the core of knowledge from all of the many topics encompassed by the field. The articles are written primarily for the electric power engineering professional who is seeking factual information and secondarily for the professional from other engineering disciplines who wants an overview of the entire field or specific information on one aspect of it. well as the modeling, analysis, planning, design, monitoring, and control of electric power systems. The individual articles within the 15 sections are different from most technical publications. They are not journal type articles nor are they textbook in nature. They are intended to be tutorials or overviews providing ready access to needed information, while at the same time providing sufficient references to more in-depth coverage of the topic. This work is a member of the Electrical Engineering Handbook Series published by CRC Press. Since its inception in 1993, this series has been dedicated to the concept that when readers refer to a handbook on a particular topic they should be able to find what they need to know about the subject at least 80% of the time. That has indeed been the goal of this handbook.